Unless some Tony Stark steps in and invents the Arc reactor or the research in Solar Power Satellites (SPS) for wireless Energy transfer gets through, we humans have to depend on Batteries for powering our portable or remote electronic devices. 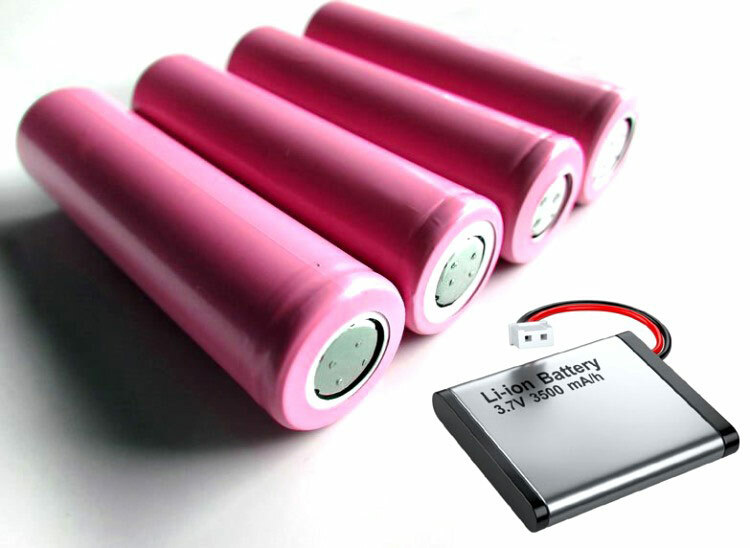 The most common type of rechargeable batteries that you find in consumer electronics is either Lithium ion or of Lithium Polymer type. In this article, our interest would be over the Li-ion Batteries since they tend to be more useful than all other types. Be it a small power bank or a Laptop or something as big as the Tesla’s new Model 3 everything is being powered by a Lithium-ion battery. What makes these batteries special? What should you know about it before you use one in your projects/designs? How will you charge or discharge these batteries safely? If you are curious to know the answers for all these questions then you have landed on the right article, just sit back and read through while I will try to keep this as interesting as possible. The idea of Lithium Ion battery was first coined by G.N Lewis in the 1912, but it became feasible only in the year 1970’s and the first non-rechargeable lithium battery was put into commercial markets. Later in 1980’s engineers attempted to make the first rechargeable battery using lithium as the anode material and were partially successful. They failed to notice that these types of lithium batteries were unstable during the charging process and it would create a short inside the battery increasing the temperature and causing a thermal runaway. In 1991, one such lithium battery used in mobile exploded over a man’s face in Japan. Only after this incident it was realised that Li-ion batteries should be handled with extreme caution. A huge number of these types of batteries that were into the market were then recalled by the manufacturers over safety issue. Later after much research, Sony introduced the advanced Li-ion batteries with a new chemistry which is being used till date. Let’s wind up the history lessons here and look into the chemistry of a Lithium Ion battery. As the name obviously indicates, the Lithium Ion batteries use the Lithium ions to get the job done. Lithium is a very light metal with high energy density, this property enables the battery to be light in weight and provide high current with a small form factor. Energy density is the amount of energy that can be stored in per unit volume of the battery, the higher the energy density the smaller the battery will be. Despite the overwhelming properties of lithium metal, it cannot be used as an electrode directly in the batteries since lithium is highly unstable because of its metallic nature. Hence we use lithium-ions which more or less has the same property of a lithium metal but it is non-metallic and is comparatively safer to use. Normally the Anode of a Lithium battery is made of Carbon and the Cathode of the battery is made using Cobalt oxide or some other metal oxide. The electrolyte used connecting these two electrodes will be a simple salt solution that contains lithium ions. When discharging the positively charged lithium ions move towards the cathode and bombard it until it becomes positively charged. Now since the cathode is positively charged it attracts negatively charged electrons towards it. These electrons are made to flow though our circuit thus powering the circuit. Similarly while charging, the exact opposite happens. Electrons from the charges flow into the battery and hence the lithium ions move towards the anode making the cathode to lose its positive charge. Like all batteries the Li-ion battery also has a voltage and capacity rating. The nominal voltage rating for all lithium cells will be 3.6V, so you need higher voltage specification you have to combine two or more cells in series to attain it. By default all the lithium ion cells will have a nominal voltage of only ~3.6V. This voltage can be allowed to go down upto 3.2V when fully discharged and go as high as 4.2V when fully charged. Always remember that discharging the battery below 3.2V or charging it above 4.2V will damage the battery permanently and might also become a recipe for fireworks. Lets breakdown the terminologies involved in a 18650 battery so that we can understand better. Keep in mind that these explanations are applicable only for a single 18650 cell, we will get more into Li-ion battery packs later, where more than one cell is connected in series or parallel to get much higher voltage and current ratings. Nominal Voltage: The nominal voltage is the actual voltage rating of an 18650 Cell. By default it is 3.6V and will remain the same for all 18650 cells despite of its manufactures. Full charge Voltage: The charging voltage for lithium ion cell is 4.2V. Care should be taken that the cell voltage does not increase 4.2V at any given time. mAh Rating: The capacity of a cell is normally given in terms of mAh (Milli Ampere hour) rating. This value will vary based on the type of cell you have purchased. For example let’s assume our cell here is 2000mAh which is nothing but 2Ah (Ampere/hour). This means that if we draw 2A from this battery it will last for 1 hour and similarly if we draw 1A from this battery it will last for 2 hours. So if you want to know how long the battery will power you project (Run-time) then you have to calculate it using the mAh Rating. Where, current drawn should be within the C rating limit. C Rating: If you ever wondered what is the maximum amount of current that you can draw from a battery then your answer can be obtained from the C rating of the battery. The C rating of the battery again changes for each battery, let’s assume that the battery we have is a 2Ah battery with 3C rating. The value 3C means that the battery can output 3 times the rated Ah rating as its maximum current. In this case it can supply upto 6A (3*2 = 6) as the maximum current. Normally 18650 cells have a 1C rating only. Charging Current: Another important specification of a battery to notice is its charging current. Just because a battery can supply a maximum current of 6A does not mean it can charged with 6A. The maximum charging current of a battery will be mentioned in the datasheet of the battery since it varies based on the battery. Normally it will be 0.5C, meaning half the value of the Ah rating. For a 2Ah rating battery the charging current will be 1A (0.5*2 = 1). Charging time: The minimum charging time required for a single 18650 cell to charge to can be calculate by using the value of charge current and Ah rating of battery. For instance a 2Ah battery charging with 1A charging current will take approx 2 hours to charge, assuming the charger only uses CC method to charge the cell. Internal Resistance (IR): The health and capacity of a battery can be predicted by measuring the internal resistance of the battery. This is nothing but the value of resistance between the anode (positive) and cathode (negative) terminals of the battery. The typical value of IR of a cell will be mentioned in the datasheet. The more it drifts from the actual value the less efficient the battery will be. The value of IR for a 18650 cell will be in range of milli ohms and there are dedicated instruments to measure the value of IR. Charging methods: There are many methods which are practised to charge a li-ion cell. But the most commonly used is the 3 step topology. The three steps are CC, CV and trickle charging. In CC (Constant current) mode the cell is charged with a constant charging current by varying the input voltage. This mode will be active till the battery gets charged to a certain level, then the CV (Constant Voltage) mode starts where the charging voltage is maintained typically at 4.2V. The final mode is pulse charging or trickle charging where small pulses of current are passed to the battery to improve the life cycle of the battery. There are also much more complex chargers involving 7-steps of charging. We will not get much deep into this topic since it is far out of scope of this article. But if you are interested in knowing mention on the comment section and may I will write a separate article on charging the Li-ion cells. State Of Charge (SOC) %: The state of charge is nothing but the capacity of the battery, similar to the ones shown in our mobile phone. The capacity of a battery cannot be plainly calculated with its voltage valve, it is normally calculated using current integration to determine the change in battery capacity over time. Depth Of Discharge (DOD) % : How far the battery can be discharged is given by the DOD. No battery will have 100% discharges since as we know it will damage the battery. Normally an 80% depth of discharge is set for all batteries. Cell dimension: Another unique and interesting feature of the 18650 cell is its dimension. Every cell will have a dia of 18mm and a height of 650mm which makes this cell gets its name 18650. If you want more terminology definitions then look into MIT Battery terminologies documentation , where you are sure to find more technical parameters related to a battery. If you are a complete newbie and is just getting started with 18650 cells to power your project, then the easiest way would be to use readymade modules which can safely charge and discharge your 18650 cells. Only such module is the TP4056 module which can handle a single 18650 cell. If you project requires more than 3.6V as input voltage then you might want to combine two 18650 cells in series to obtain a voltage of 7.4V. In such case use a module like 2S 3A Li-ion battery module should be useful in charging and discharging the batteries safely. To combine two or more 18650 cells we cannot use conventional soldering technique to make connection between both instead a process called spot welding is used. Also while combining 18650 cells in series or parallel more care should be taken which is discussed in the following paragraph. To power small portable electronics or small devices a single 18650 cell or at most a pair of them in series would do the trick. In this type of application the complexity is less since the number of batteries involved is less. But for bigger application like a Electric Cycle/Moped or a Tesla cars we will need to connect a lot of these cells in series and parallel fashion to attain the desired output voltage and capacity. For instance the Tesla car contains over 6800 lithium cells each of rating 3.7V and 3.1Ah. The picture below shows how it is arranged inside the chassis of the car. With this much number of cells to monitor we need a dedicated circuit which can just charge, monitor and discharge these cells safely. This dedicated system is called a Battery monitoring System (BMS). The job of the BMS is to monitor the individual cell voltage of every lithium ion cell and also check for its temperature. Apart from that some BMS also monitors the charging and discharging current of the system. When combining more than two cells to form a pack, care should be taken that they have the same chemistry, voltage, Ah rating and Internal resistance. Also while charging the cells the BMS makes sure that they are charged evenly and discharged evenly so that at any given time all the batteries maintain the same voltage, this is called a Cell Balancing. Apart from this the designer also have to worry about cooling these batteries while charging and discharging since they don’t respond well during high temperatures. Hope this article has provided you enough details for you to get a bit confident with Li-ion cells. If you have any specific doubts feel free to leave the in the comment section and I will try my best in responding back. Until then happy tinkering.